No 9 Cruden Terrace is a mid terraced three bedroom house. 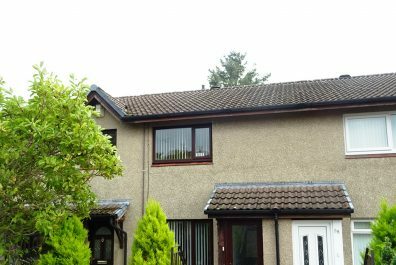 Situated in Lockerbie, its a busy market town, sits close to the M74 motorway and is ideally situated for commuting both north or south. Well regarded Primary and High School. There are also very good rail and bus services, East coast Rail link to Edinburgh and Manshester. The town offers the usual range of amenities including an ice rink, supermarkets and a range of traditional shops and catering establishments. would make an ideal family home and viewing is highly recommended. Entrance hall, living room, kitchen, three bedrooms, bathroom and garden.